With years of global experience across eCommerce, big data, security, and payments industries, and cultures from Silicon Valley to China, Souheil Badran has been instrumental in developing and executing the strategies that have led several companies to the top of their respective industries. Souheil served as President of Alipay, Americas and was responsible for driving the expansion of Alipay, one of the world's leading digital payment and lifestyle platforms. His focus is to enhance the buying experience for the millions of Chinese consumers who shop from merchants annually by bringing mobile and online payments to merchants in North and South America. Prior to his executive leadership role with Alipay, Souheil served as President and CEO of Edo Interactive, where he led the effort to seamlessly deliver personalized marketing offers to consumers through mobile devices. Before joining Edo Interactive, Souheil served as Senior Vice President and General Manager for all of the payments lines of business at Digital River, a processor of more than $35 billion in payments around the world. He came to Digital River after leading First Data Corporation’s e-Commerce Solutions Group. 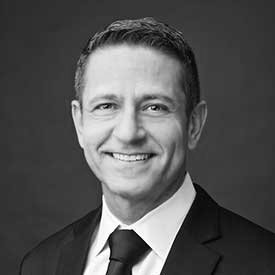 Souheil currently serves on the Presidential Advisory Council of the Electronic Transactions Association, the global trade association representing the payments technology world. He also serves on the Board of the Children’s Cancer Research Fund, which supports the pioneering efforts in research related to the prevention, diagnosis, treatment, and cure of childhood cancer.